Tis the season for eggnog, holiday sweaters with kittens wearing Santa hats and a litany of tasteless white elephant gifts. People who cycle together, support together. Meaning, if you have someone on your list who you know could use some extra encouragement this holiday season, MedAnswers has compiled a list of some thoughtful and smile provoking gifts that will surely help them through this difficult time of year. Sock it to em’. Most people who receive socks as gifts, silently (or outwardly) tend to boo the giver of said gift. This is certainly not the case for people who spend a whole lot of time in the stirrups at a fertility clinic. First of all, there’s a lot of feet who have graced those exam room stirrups, best to protect those piggies. 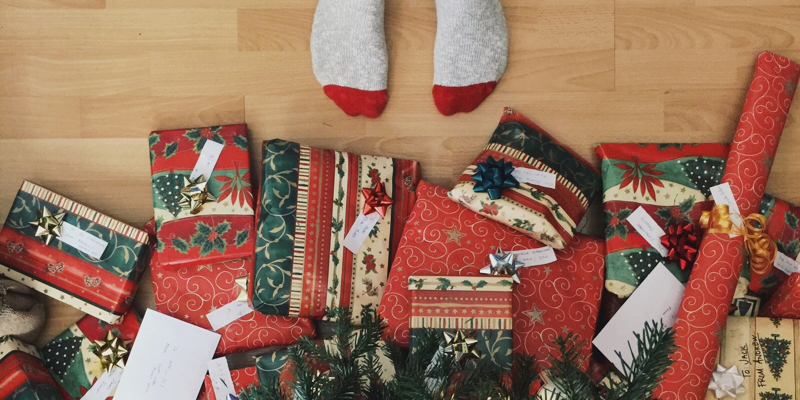 Good luck socks, IVF transfer socks, or even the classic unicorn kittens riding a taco socks, all act as perfect gifts to pass along to someone who will be starting up a new cycle after the New Year. Save the date. Give them a calendar organizer/planner. Basically, every single thing about trying to conceive revolves around a calendar. You can even add a little personal touch by writing in random inspirational quotes throughout the pages of the planner! Hang it up. Hanging make-up bags are oddly great gifts. Here’s why, they are perfect for sorting and storing things like medications, syringes, alcohol pads and of course the ever popular silly Band-Aids. If you feel like going the extra mile, add in a few bonus items such as chocolate, teas, bath bombs, or whatever you can find that will help bring a smile to their face. Make it personal. No really, a personal touch is always the most memorable. Hand paint an ornament, or fill one with “baby dust”. There are also many bracelets and necklaces with powerful quotes out there in the e-commerce o’sphere to choose from. Your time. Lean in, for a moment. Time is the most precious gift you can ever give someone. Take your friend out for coffee, a movie, a pedicure or even spam their phone with Gifs (not gifts) that will incite a few giggles. Who doesn’t love a good Carlton dancing gif right? It is no secret that the holiday season, although happy and jolly for many, is not as jolly for those whose only wish is to see double lines on a pregnancy test. Guess what, you are already a good friend by thinking of someone who is in a bad place with their struggle. A small gesture can truly make a difference in their life.